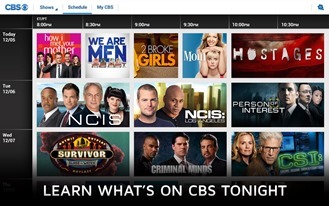 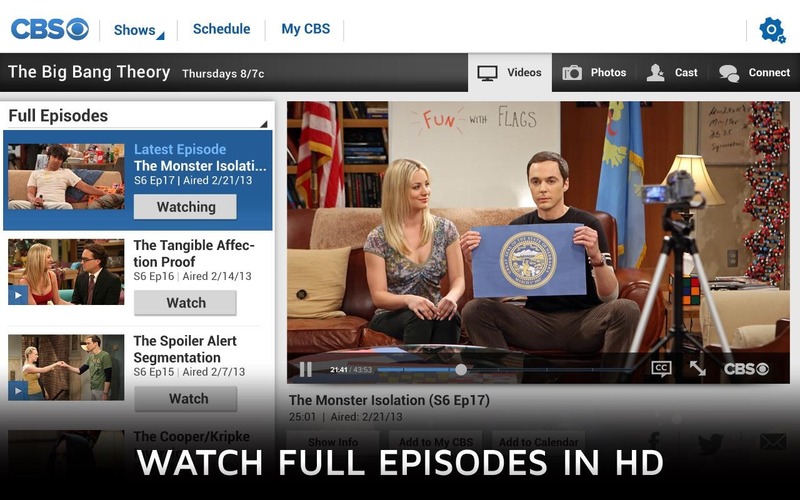 Of all the major broadcast networks, CBS has been the slowest to adopt streaming models. 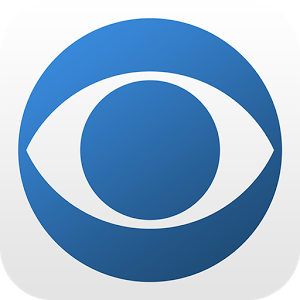 With most of its rivals moving more into online content, CBS is finally responding, which is good for us. 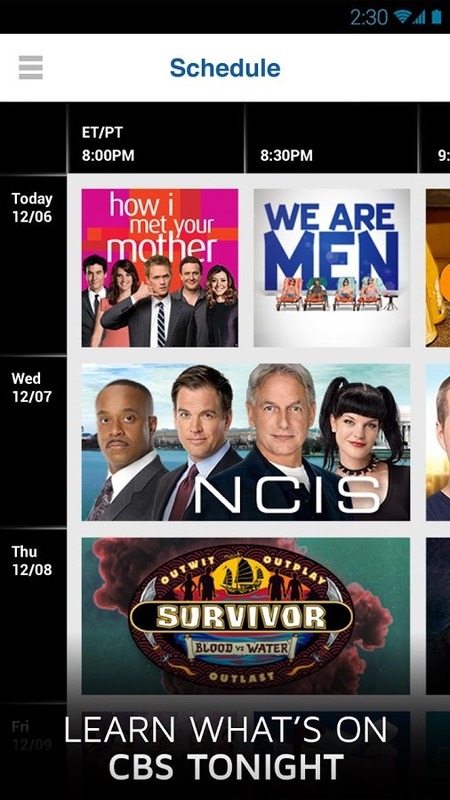 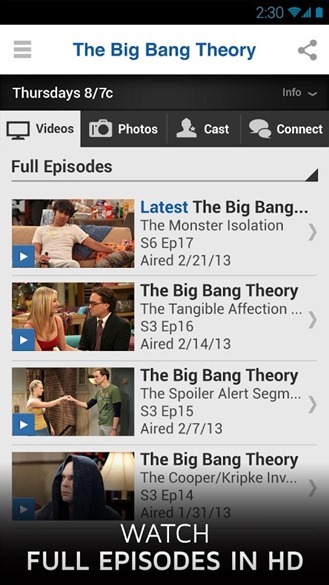 The new streaming video app for Android includes schedules, clips, and full episodes – all available for free in HD. 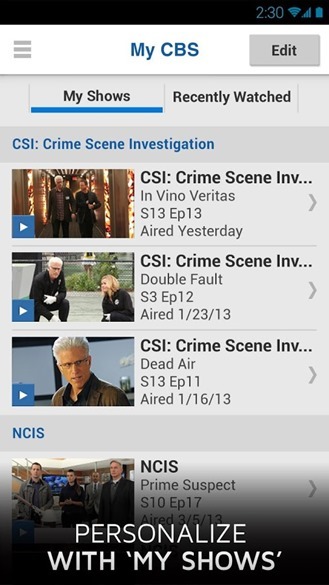 The app contains a wide array of programs, many of which have multiple full episodes to stream. 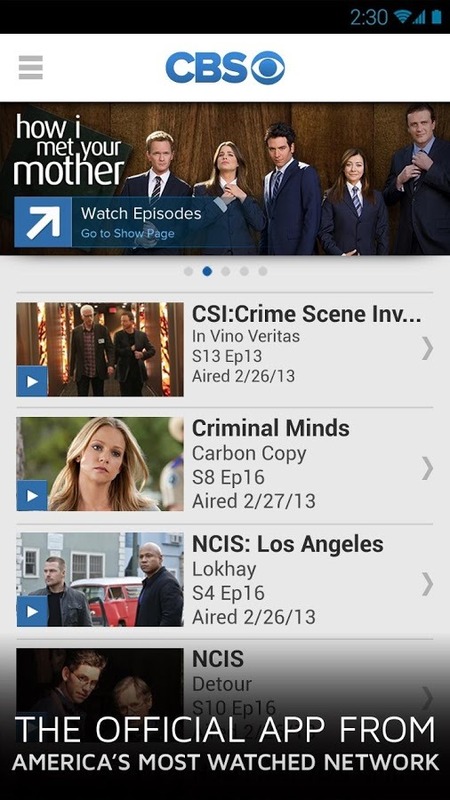 Video quality looks very good, and plays in both portrait and landscape. 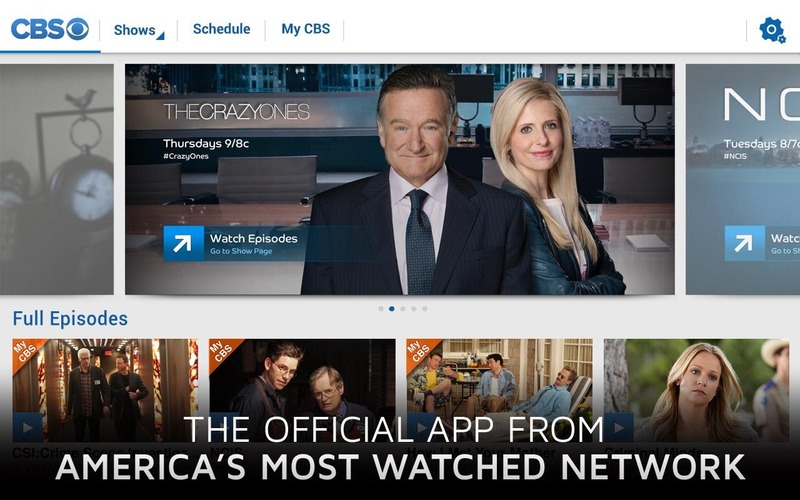 You will encounter a handful of ads, though. You can peruse the full episode list or use the schedule to see what's on when. Shows you watch regularly can also be added to your favorites list for easy access. 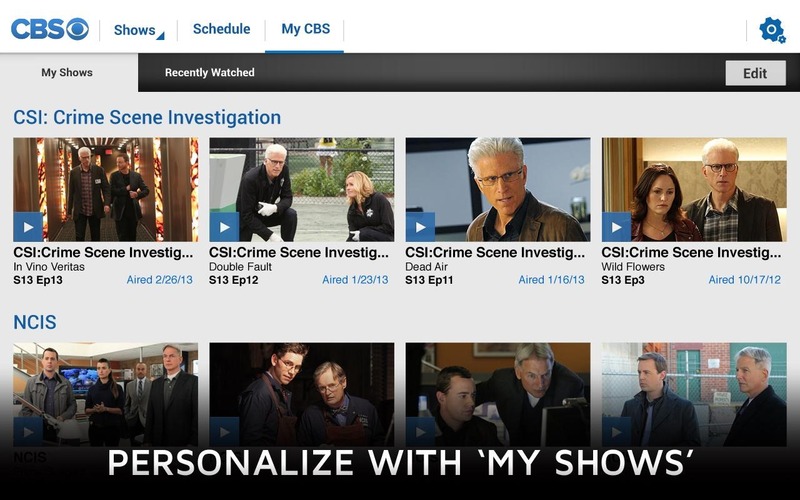 The interface is more responsive than you'd expect, and it has both phone and tablet layouts. Not bad for a free streaming app.